Here's a story from a newspaper in West Virginia* all about yarmulkes and YU. 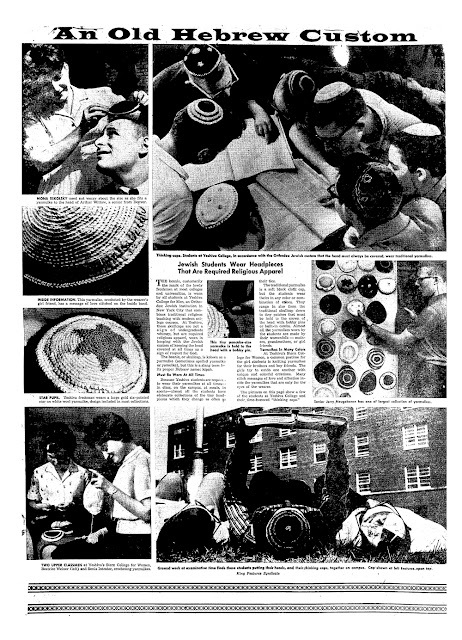 Check out those Stern girls at the bottom knitting yarmulkes for their boyfriend. 1960.